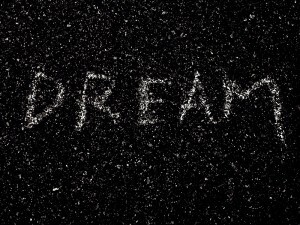 Definition of Me:…dreams or Christ? 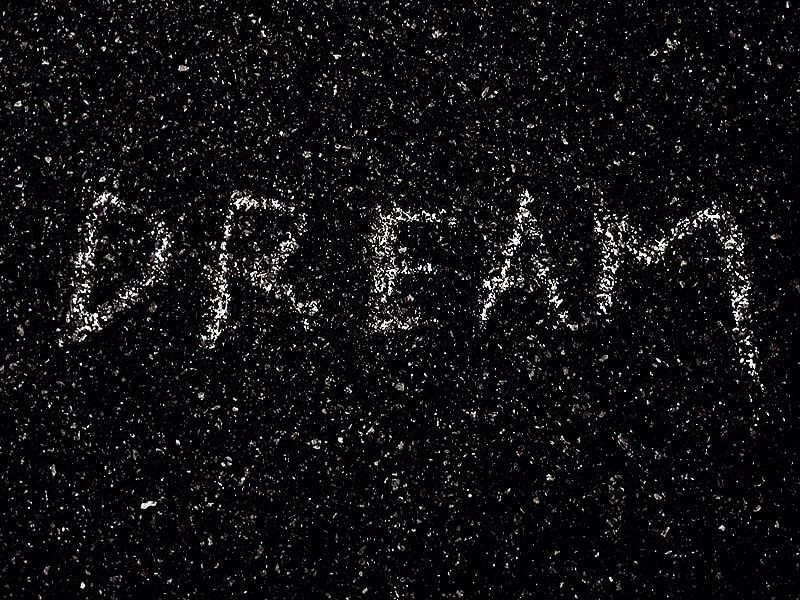 We all have dreams, certain things that we strongly desire for our lives. Many of us strive for these. For some, that means going to a certain college to get that special degree. For others, it might mean investing in certain people to have the relationships they long for. Ever since I was little, I was completely inthralled with theater. I grew up on all the classic actors, Bing Crosby, Lucille Ball, Judy Garland, Bob Hope, Fred Astair and others. Any chance I could, I was involved in preforming arts. I read books, was in a billion plays and skits and would study my favorite shows. Now, even though I still have that passion, it doesn’t even compare to the love I have for ministry. Dreams are wonderful. They motivate us to pursue avenues that others might never even think of. They are part of what make us unique. However, the question I have to continually ask myself is this, “Am I willing to surrender the dreams that I hold on so tightly to God?” It’s hard, probably one of the most difficult areas for me to evaluate. Sometimes I’m so scared that if I give my dreams to God, I can’t have them anymore and I’ll lose a piece of myself. This has actually been proven to be true on many occasions, but only for the spectacular. God has always made my strongest desires into something pure and fantastic when I give them to Him. I might not always get what I originally wanted, but so much more. Can you imagine how marvelous it would be for that verse to truly be our lives? God has been really working on me, teaching me how to surrender all the things, people, experiences that comprise my dreams. When you’re making life choices (whether that be what school you attend, relationships, jobs, etc.) totally give it to God. Pray for your desires to match His…and they will, because He promises this in His Word. “Delight yourself also in the Lord, And He shall give you the desires of your heart.” Psalm 37:4 “Give you” is the key term here. It almost should be taken as “replace,” because God will make your desires match with His. He will replace your fleshly desires and give you new, righteous ones. It’s pretty cool. I realize that I will always struggle with this concept, but I also realize that God will always give me grace. He will hold me when I fail and when I succeed. The world will tell you not to ever let go of your dreams, because they make you who you are. Fight for them and do whatever it takes. Psh, no. Christ makes us who we are. Never let go of Him, fight for Him, do whatever it takes and count everything else as loss. Well, after eating far too much and experiencing Black Friday at it’s finest, I’m back at school. I had an absolutely wonderful Thanksgiving with my family and even made the best cinnamon pie there ever was. My mom got an espresso machine as an early Christmas present, so my caffeine intake was sufficient. Needless to say, my 9 day break at home was a success. However, I love being back at school and getting back into the swing of things. Something that has really stuck with me ever since I’ve been back is thankfulness, which isn’t that big of a surprise, considering it’s kind of a popular theme right now. 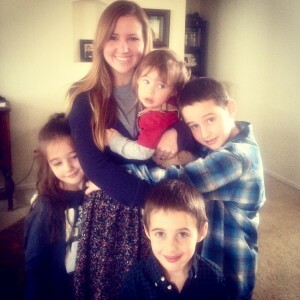 On Thanksgiving day, I did a small devotional with my little siblings on the subject of being thankful and I gave them this definition, “Thankfulness is the act of acknowledging all God blesses us with and responding with joy.” Now, I don’t know how perfect that is, but I like it all the same. This is the attitude I’ve tried to bring to school with me, simply acknowledging how God blesses me throughout the day. 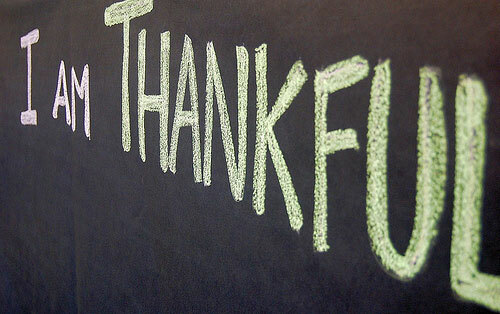 Like most difficult acts, thankfulness is a choice and one that cannot be truly made unless relying on the Holy Spirit. Within my 24 hours back, I’ve already encountered hundreds of little blessings. Now, I haven’t always been choosing to dwell on these, but rather the few little stresses. Isn’t that the silliest thing?! Seriously, think about that for half a second. God freely gives us an absurd amount of blessings DAILY and yet we still choose to dwell on the few stresses!! Humans are such ridiculous creations. One of my very favorite childhood songs puts it so nicely. “When I’m worried and I can’t sleep, I count my blessings instead of sheep. And I fall asleep counting your blessings.” This principle is fantastic. How would our attitude change if every night we fell asleep being thankful for all of our blessings? Well, let me just tell you, I had this moment today where I literally had to choose if I was going to reside in worry or in peace. I chose peace and in that moment I thought of all the reasons I had to be joyful. God has blessed me with an incredible school filled with people who are my family. It’s remarkably more rewarding to choose a thankful heart. A.W. Tozer has this quote,“Perhaps it takes a purer faith to praise God for unrealized blessings than for those we once enjoyed or those we enjoy now.” That’s a whole other aspect to think about. It’s already been blowing my mind to think about all the obvious blessings, but I need to be thanking God for all the ones I don’t even see. I’m thankful for Christian Colleges. I’m thankful that there are many out there to choose from. 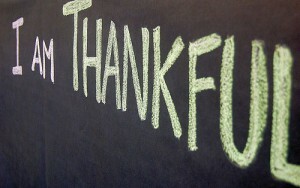 I’m thankful for the ability to grow closer to God by having an attitude of thankfulness. I’m always amazed at how many differences I notice after being at school for a while. I notice them in myself, the people around me and my surroundings. Water, I love the water at home and miss it terribly when I’m at school. My shower, it’s huge! The oven, it has the wonderful ability to bake the things. Chair! We have a chair in our living room in which I like to comfortably sit and (most the time) fall asleep. Honestly, when I lived at home I never thought about any of these things as something magical, but that is definitely no longer the case. Of course, when I’m home, I realize how much I adore my family, friends and cat. However, none of these differences are the kind I first mentioned. The ones to which I was referring are sufficiently more important. Difference: I no longer have the ability to not think in schedule form. It’s become much harder for me to just be. On one hand, this is a good thing. It promotes organization and planning, as well as, productivity. On the other hand, I’m completely disoriented. It’s harder for me to focus on any task. I’ve been waking up at 8:30 feeling a panic that I’ve wasted so much of my morning. Devotions are more difficult, because I’m used to a set time. Most of the day I don’t do anything of worth, because I’m confused as to what to do. Difference: The Church experience is far more intriguing. Don’t misunderstand me, I’ve always loved church, but after studying ministry there are total new aspects. My family recently has been trying out a different church and this Sunday was my first attendance. It was fantastic. So many little things that I never would have paid attention to got me all excited. For example, during the announcements it was mentioned that there might be a change in the church’s constitution. It was somewhat discussed as to how that was to be handled. I loved it. Also, there were elderly, but not just any elderly, biblical elderly. They were involved and interacting with the younger generation. Difference: I realize how much my little siblings look up to me. They listen to everything I say, they watch everything I do and guess what, they mimic. There’s a line in the Casting Crowns song “Slow Fade,” which states, “Be careful little feet where you go, for it’s the little feet behind you that are sure to follow.” God is shaping and molding me for whatever future plans He has. My siblings have to see that. It’s important that they can visibly see God is my life. That means when I start to get annoyed with them, how do I react? Does my speech reflect Christ? Not normally, but God has really opened my eyes to see my influence in their lives. Those are just a few of the many differences that are sticking out to me, but this tells me something. College changes you. It just does. You learn from your classes (hopefully), you pick up habits from your roommates, your persecutive on life alters, but is it for the better? Christianity is a hard business for most in college. It’s not the popular view. However, I am so thankful I’m at a Christian College that is founded on the Bible. Your school will provide “differences” in your life, pray about those now. And you know what?! !…Growing up means “differences.” It’s a good sign that you’re learning something. It’s good to be home with my water, shower, oven, chair and some new perspectives. As I sat silently in my dorm room, thoughts of this world consumed me. “I can’t believe the elections! I can’t handle where this world is going. I can’t even handle homework. Why does everyone want something from me? How could christians be so sinful? I’m never going to be good enough to make a difference. Why God? Why am I even here? Why do You love me? I’m such a failure.” The flood gates were open and I bawled my eyes out. Physically, I felt as if I had been carrying a billion pound backpack and finally dropped it. I had been. Little things, or “rocks” if you will, kept popping up and I was slowly collecting them. As a result, I had been carrying around this heavy burden. The next morning, after I had my breakdown, I read this is my devotions “And in Him we live, and move and have our being.” Acts 17: 28a This served as a reminder that my life is not my own. One of the struggles I continually have to battle out with God is people. Somedays it feels like everyone wants a piece of me and aren’t satisfied until they get it. Fact is, somedays that’s actually true. God has placed me into a shepherding role and like one of the missionaries stated, “Sheep have teeth and they bite.” However, what they really need is a piece of Jesus. When I’m yielding to the flesh, that’s what they are going to get…a big bite of yucky, unsatisfying flesh. Gross. But, if I’m walking in the Spirit, they won’t be taking from me, but rather from the Father’s unlimited supply. This past week my school had it’s missionary conference. Missionaries from all over the world came to share about their ministries. It’s extremely encouraging, but also a tad overwhelming. There’s so much happening in our world. Between realizing all of the events that will be accruing as a result of elections and everything with missions, I’ve had a good amount in my mind. It’s awesome to think about the big picture, because I get wrapped up in my own little bubble, but on the other hand, it’s also frustrating. “How beautiful are the feet that carry the good news.” That was the speakers topic the final day of the missionary conference. I want beautiful feet, to bring that hope to the lost. That desire is what needs to be my focus and not “grasping in the wind.” That is a repeating phrase in the book of Ecclesiastes. Chapters 3-5 have been on my heart a whole bunch the past day or so. It deals with everything I previously mentioned. Those little rocks are vain. They don’t matter at all in eternity. God is God and His ways are forever. Wind is fleeting. Christian Colleges are great for finding your passions, gifts and talents. These are important to know and develop. God has made each of us different and even though some of the ingredients He used seem odd, they are the key to our ministry. For example, I know my spiritual gift is hospitality, one of my talents is public speaking and passion is theater. How those all tie together, I have no clue, but God has a place for me. God is making me beautiful. He knows the plans that He has for me. Am I willing to risk my comforts for those plans? What about finding a spouse or even being able to see my family? Am I willing to completely surrender my life to have beautiful feet that are led by my Savior? Our life is a vapor. What are we going to do with it? Spend it in vain, “grasping in the wind” or spend it surrendering to God. Find your gifts, talents and passions. Then, put them to good use.